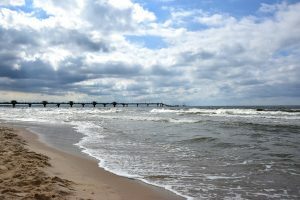 With warm seas, clean sand, attractive promenade and pier, Miedzyzdroje has long enjoyed a reputation as a trendy seaside resort attracting swarms of tourists in summer. Often called “The Pearl of the Baltic”, this little town is a health centre well known for its saline and mud baths. A must for every nature-loving visitor is a trip to the nearby Wolin National Park, where one may see the white-tailed eagle and a herd of Polish bison. Undoubtedly, the major attraction of Miedzyzdroje is its beautiful beach with its high cliffs, and yet the town has more to offer than just sand. If you are fed up with the lazy beach life or it is a rainy day, then a visit to the Natural History Museum may seem like a good idea. Here you can while away an hour or two exploring the diverse flora and fauna of Wolin National Park. Another tourist attraction is the Wax Figure Museum, modelled on the London’s Madame Tussaud’s. Finally, simply walking along the paths of the Zdrojowy Park or strolling around the town to take a look at the old villas is an enjoyable activity in itself. In July the sumptuous “Amber Baltic” hotel annually welcomes the most outstanding Polish actors, who arrive here for the Summer Festival of Stars. Close to the hotel is the Promenade of Stars where the celebrities leave their hand impressions. The best way to experience the beauty of Wolin National Park, just southeast of Miedzyzdroje, is by hiking. Featuring numerous lakes, the park provides a home for a diverse variety of bird species. The bison reserve is located only 2 km from Miedzyzdroje. Miedzyzdroje lies in the north-western section of Poland, about 600 km north-west of Warsaw and 250 km north-east of Berlin. It is situated in the geologically oldest part of Wolin Island, amongst moraine hills and glacier lakes. The landscape is flat (5 m above sea level). In proximity of the town stands “Mount” Gosan – with an altitude of 95 m is the highest spot on the Polish coast. 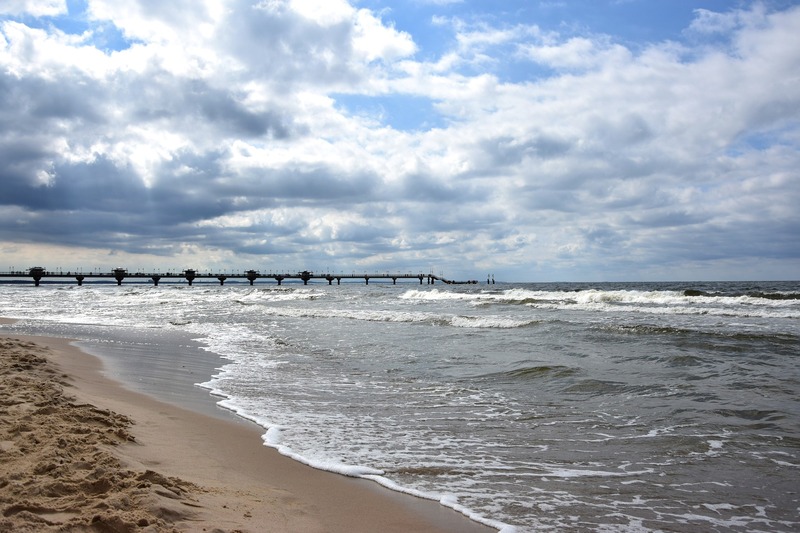 The town is blessed with favourable climatic conditions: its sea climate is the gentlest of any of the Baltic coast towns. The curative properties of the climate play an important role in Miedzyzdroje’s status as a health resort. At the end of the 12th century there were two settlements on the site of today’s Miedzyzdroje. Both belonged to the bishopric of Kamien Pomorski, but while swamp iron ore was mined in Selazo (or “Zelazo”, which means “iron” in English), Campenz (Kepience) relied on agriculture. The name “Misdroige” appeared for the first time in the 15th century. Settlers lived on agriculture, cattle-breeding, bee-keeping, hunting and fishing. One of the most tragic periods in the history of Pomerania was the Thirty Years’ War, when the whole of Wolin Island fell under the rule of Sweden. In 1715 the island was taken over by the Prussians, whose sway in Pomerania was sanctioned by the peace treaty of Stockholm. The population of the village grew; a particularly high increase in the number of inhabitants was recorded in the 18th century. After a dike had been built across the moors, the town’s first public-house was moved to a new location. Only in the first half of the 19th century did people in Europe begin to recognise the healing properties of a sea climate. With the arrival of these new visitors, the small fishing village quickly began to transform itself into a fashionable health resort. First to be built were the baths, located on the beach in 1835 with separate ones for ladies and for gentlemen. Wealthy manufacturers from Szczecin and Berlin would rest in their own magnificent villas, designed by the best architects of the era. More and more such houses began to dot the shoreline. The Zdrojowy house with its surrounding park came into being in 1860 as an initiative of a Belgian merchant, Lejeune. A wooden pier constructed at that time was later rebuilt in 1906. The pier measured 360 m in length and the old coffee-house situated at its end is still open today. In the last year of the 19th century, Miedzyzdroje got a railway connection with Szczecin and Swinoujscie, which resulted in even greater numbers of patients and holiday makers arriving in the town. The year 1913 witnessed as many as 20,000 visitors to Miedzyzdroje, a remarkably large number for those times. The same year saw the construction of a new water supply network, sewer system and a power plant. Just before the outbreak of World War II, Miedzyzdroje had around 4,000 permanent inhabitants. The town suffered little from war operations and was granted town status in 1945.